LUZ it’s a network which took the heritage of Grazia Neri’s Photo Agency and offers a new space for the authors that represent the excellence in Italy and all over the world. 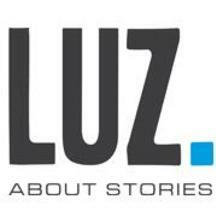 Founded by professionals from different fields such as photography, journalism, advertising, and marketing, LUZ aims to help publishers and companies, to tell engaging stories with languages and contemporary instruments. Telling stories is the mission of LUZ with its photographers, some of which are the greatest in world, like Douglas Kirkland, Franco Pagetti, Davide Monteleone, Michael Ackerman, Lorenzo Castore, Paolo Marchetti, Paolo Verzone, and Gerard Uferas, responding to the changes of the market and new technologies applied to information and art. The international LUZ network is enriched by partnerships with the major international agencies such as Panos, Noor, Keyston, Focus, Contacto, Tendance Floue. Among its activities, LUZ Academy presents an educational program addressed to photographers, authors, and creative directors, centred on storytelling. LUZ promotes the crowdfunding projects of his photographers through its own and different social networks.